Harvard. Few names are as synonymous with excellence and achievement. So, it was noteworthy when Harvard recently interviewed Idaho Transportation Department Director Brian Ness for information on the agency’s innovation program. For an hour, Harvard’s John F. Kennedy School of Government talked with the director about the origins and logistics of the program, the organizational changes required, and the ability to replicate the program elsewhere in government to improve efficiencies and performance. ITD’s employee-driven program solicits improvements from employees statewide. After interviewing Ness April 12, Harvard was impressed. 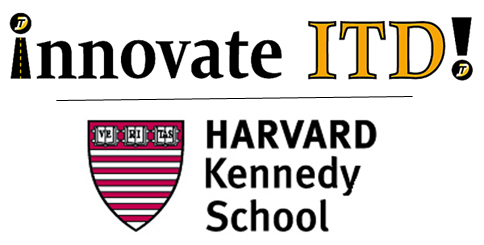 “We definitely think there’s at least one article we could write about your organization, perhaps more,” said Jessica Engelman, editor of the Harvard Kennedy School’s Government Innovators Network newsletter. Engelman said an article would likely be published after June, once the university slows down a bit for the summer. An “Operational Excellence” column and one called “Better, Faster, Cheaper” were specifically mentioned as possibilities.